In rural India, where over 50 percent of families are living in poverty, it is not only food security but also ill-health, which causes serious distress. India has an infant mortality of 87 per 1,000 with most babies dying due to diarrhea and other minor diseases related to portable water, hygiene and sanitation. Poor health in rural people suppresses their energy and enthusiasm to work hard for earning their livelihood. In the absence of primary healthcare, it is difficult to ini­tiate any development programmes in the rural areas. There is a need for internalization of health programmes by orienting the social workers to emphasize on community health, particularly in supplying medicines, having medical facilities in the villages, immunization, sanitation and nutrition. Rehab is giving special attention to educate the people on the importance of leading a healthy life. PHCs (Public Health Centres) are state-owned rural health care facilities in India which are the parts of government-funded public health system in India and are the most basic units of this system. PHCs and their sub-centers are supposed to meet the health care needs of rural population. In association with the local PHCs several health care programmes and awareness programmes have been organised by Rehab to educate the rural people. Rehab India Foundation also collaborated with ASHA (Accredited Social Health Activists) workers and conducted various awareness programmes and campaigns in Hazipara VDP of West Bengal and Talghat VDP of Bihar exclusively for women. Rural women experience poorer health outcomes and have less access to health care. With ASHA’s help, rural women are educated on health care topics such as malnutrition, maternal and infant mortality, etc. Several other campaigns organised by Rehab in different states of the country covered the topics like Breast Cancer, anaemia, benefits of breast feeding, immunisation, viral hepatitis and personal hygiene etc. 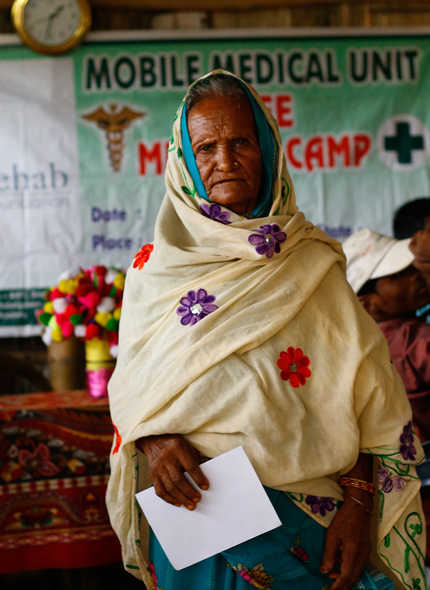 Monthly medical campaigns in the villages adopted by Rehab India Foundation. Medical camps at regular intervals to provide health solutions in the rural areas. 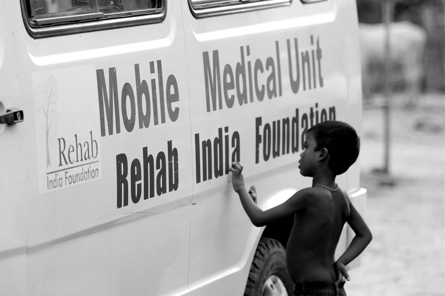 Rehab Mobile medical ambulance- ‘hospital on wheels’ reach out the people in remote villages. Installation of health camps to impart health education and sensitize the community on preventive and promotive health grounds. Specialised one day camps for Eye care, TB, Malaria, Anaemia, Dengue, Swine Flu, Japanese Encephalitis, Diarrhea and HIV diseases. It’s great to show that you care and connecting to others will help you heal! Support us to provide health facilities & caregivers to underprivileged patients in the hospital through your small contribution.